Alexandra, Conyee, and I are pleased to invite you to Minna Gallery on Saturday, March 30 from 18:30 to 22:00 to help us wind down the month of March. 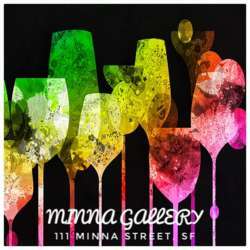 Minna is a beautiful SoMa gallery for up-and-coming artists to display their work; at night it morphs into an after-hours venue for parties & events. With a mix of business suits and hipsters, friendly staff, moderate prices, great beats and strong drinks, Minna Gallery is a stunning space to network with friends and other expats. As always, Alexandra and I look forward to seeing you on Saturday, 30 March!